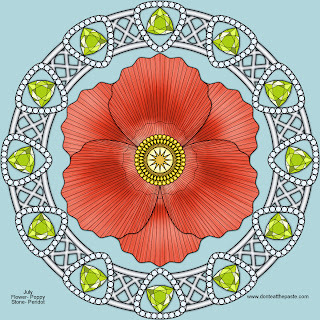 August is poppies and peridot. I love the alliteration and the light olive green of peridot makes it one of my favorite stones. 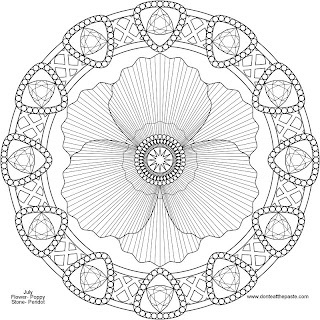 This is probably one of my favorite mandalas to color so far in the series. Poppies come in so many gorgeous colors. 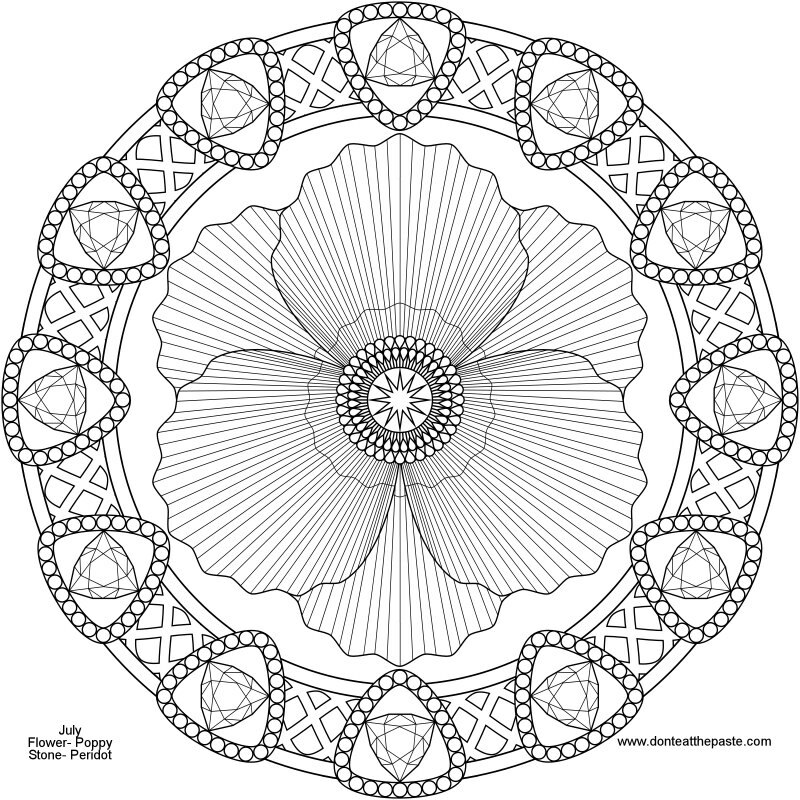 Click the images for larger versions to print and color! I usually link to a gift idea or two. This time, instead of something with a poppy theme, it's one of my favorite glitters. Love this stuff. Usual disclosure- when you buy something from Amazon using my links, I make a small commission. That commission helps support this site and my book habit. Poppies are beautiful flowers. 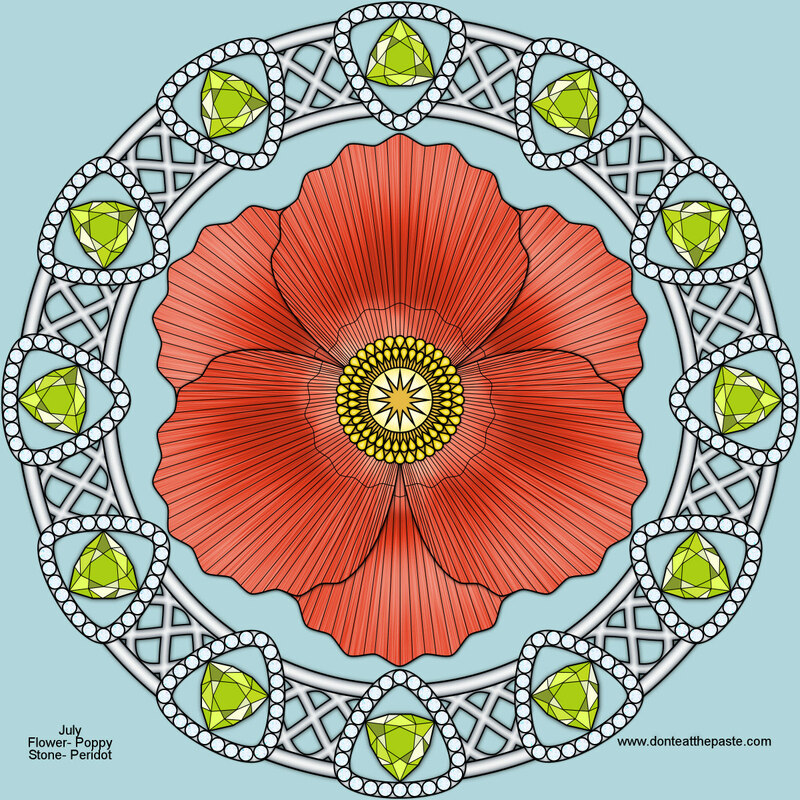 Thanks for sharing this lovely design, Shala!